Days after Kuwaiti newspaper Al-Rai reported that Iran will send two squadrons of Sukhoi fighter jets to Syria to take part in air strikes against rebel organizations together with the Russian Air Force, Israel has remained silent over the possibility of jets belonging to its arch enemy flying over a neighboring territory. The two Iranian squadrons will be based in the Western Syrian city of Homs, according to the Kuwait report, which has yet to be confirmed. Asked to comment on the possibility of Iranian air activity in Israel’s immediate vicinity, former National Security Advisor to Prime Minister Benjamin Netanyahu, Maj.-Gen. (res.) Yaakov Amidror did not rule out such a development, telling The Jerusalem Post on Sunday that “anything can happen.” Israel would “not have to respond so long as the Iranian jets don’t interfere with us. We are free to dislike it, but if they don’t interfere with us, they can bomb their targets. It doesn’t require a change of course on our part,” Amidror, who is a senior fellow at the Begin-Sadat Center for Strategic Studies, stated. Amidror was chief intelligence officer of the IDF Northern Command, and served as director of the Intelligence Analysis Division in the IDF’s Military Intelligence Directorate. The Iranian planes, he said, do not pose a significant aerial threat to Israel, and could not challenge Israeli air superiority in any location. If, on the other hand, the jets act to threaten Israel or its air activities, the Israel Air Force “will have to shoot them down. There would be no hesitation here,” he added. Yiftah Shapir, head of the Middle East Military Balance Project at the Institute for National Security Studies in Tel Aviv, said the Sukhoi jets in question are “very old.” He added that Iran received Sukhoi-25 planes from Iraq during the First Gulf War in 1991, when Saddam Hussein smuggled them to his Iranian neighbors, and that Iran has kept them ever since. 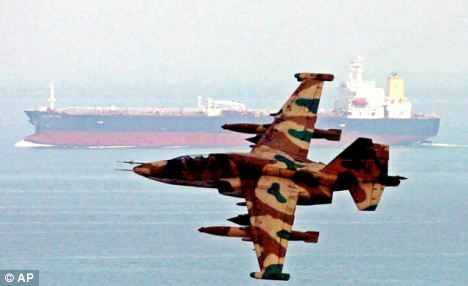 “Then, in the 1990s, Iran got more Sukhoi 24s and 25s from Russia.” It is fair to assume that the on board electronic systems inside the jets are also old, Shapir said. On the other hand, Iran has made progress in its precision weapons production capabilities, Shapir said. Last week, quoting Al-Rai, the Lebanese NOW news site reported, “’The Iranian participation [in the Syrian conflict] is headed for more advancement with preparation for the arrival of two fleets of Iranian planes,’” sources in the Damascus joint operations room of the ‘4+1’ military coalition of Russia, Iran, Iraq, Syria and Hezbollah told Al-Rai’s newspaper’s chief international correspondent, Elijah J.